Phew. As much as I love the holidays, I am glad the stress of preparing the meal (when we went to roast our chickens, they were sporting an unpleasant smell) and passing out homemade gifts is over. For me, however, the baking is nowhere near done, although I do have more time to work on my project, as there is not much else to bake or cook. I don't know about you, but I am stuffed. I feel like I couldn't fit even another strawberry into my stomach if I tried. Luckily, I cannot say the same for all of the boys in my house, so I do still have some willing recipients for my goodies. 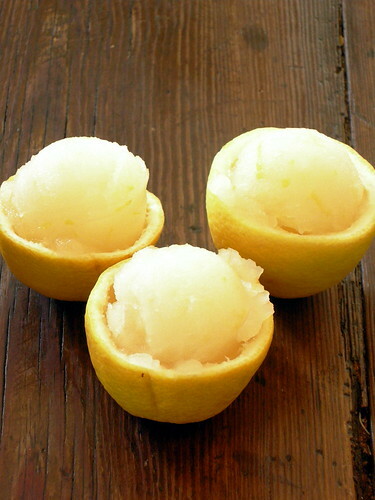 I thought this would be a refreshing change of pace from the heaviness of the food we have had over the past few days and also a good way to use some of our lemons, plus, it really could not be any simpler. See? What did I tell you? I am not sure there is a much easier dessert out there. There is hardly a tastier one either. 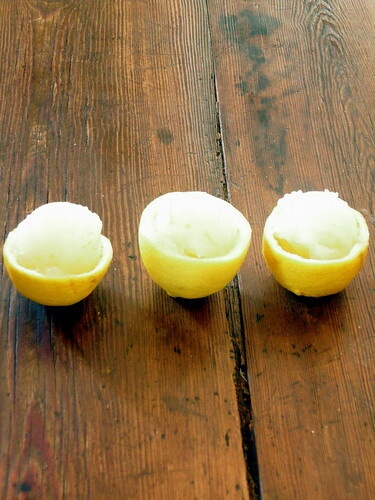 This may have been because our lemons were so juicy and ripe that you could almost eat them out of hand, or it could be the addition of the Champagne. 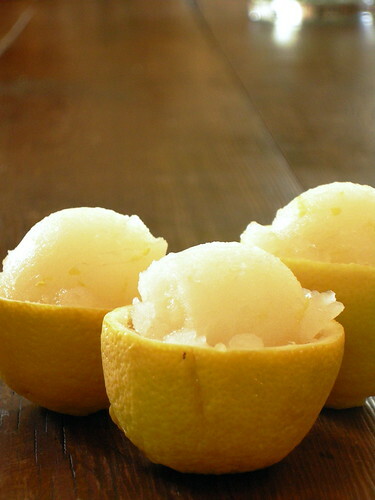 Either way, this invigorating sorbet is incredible. Heat together water, sugar, and lemon zest until sugar completely dissolves. Cool to room temperature. 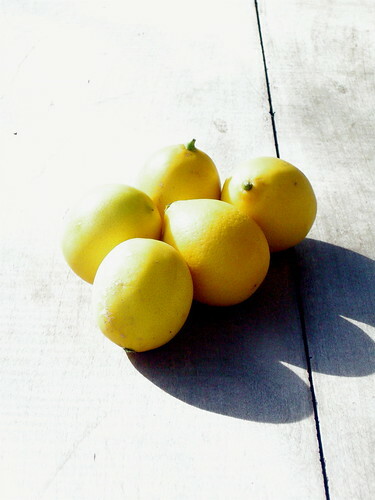 Add Meyer lemon juice and Champagne. Chill mixture thoroughly before freezing in an ice cream maker.